Explore Kihei's surroundings by going to Lahaina (Zipline, Ka'anapali Beach, & more) and Kapalua Beach (in Kapalua). There's still lots to do: meet the residents at Maui Ocean Center, tour the pleasant surroundings at Kamaole Beach Park III, see the interesting displays at Hale Ho'ike'ike at the Bailey House, and admire the majestic nature at Iao Valley. For traveler tips, maps, more things to do, and other tourist information, use the Kihei road trip planning tool . Boise to Kihei is an approximately 9-hour flight. The time zone changes from Mountain Standard Time (MST) to Hawaii Standard Time (HST), which is usually a -3 hour difference. 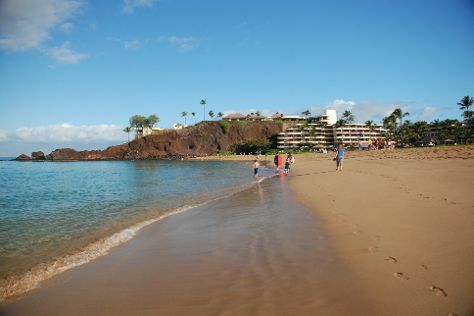 In May, Kihei is a bit warmer than Boise - with highs of 86°F and lows of 68°F. Wrap up your sightseeing on the 3rd (Mon) to allow time to drive to Hana. On the 4th (Tue), explore by horseback at Pipiwai Trail, then explore the different monuments and memorials at Charles Lindbergh's Grave, and then get impressive views of Haleakala Crater. Here are some ideas for day two: take a memorable drive along Hana Highway - Road to Hana. For maps, reviews, more things to do, and other tourist information, read our Hana online trip builder . You can drive from Kihei to Hana in 2 hours. Alternatively, you can do a combination of bus and flight. June in Hana sees daily highs of 87°F and lows of 71°F at night. Wrap up your sightseeing on the 5th (Wed) to allow time to travel back home.